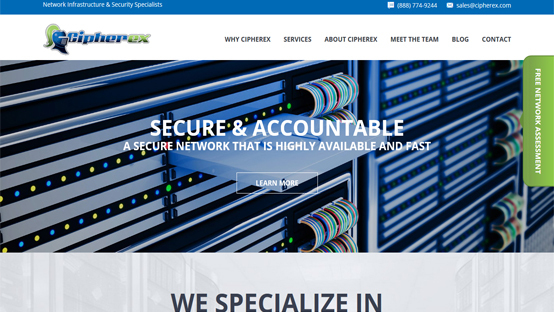 ORINDA, Calif., October 12, 2017 ─ CipherEx has launched a redesign of its website (www.cipherex.com) that enables customers, partners and other users to find what they’re looking for with greater ease. The site’s cleaner and more simplified look and updated content provide users with a more engaging experience and better align with the company’s brand image. 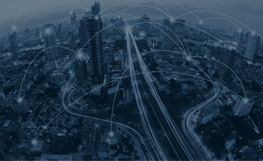 Highlights of the site include a “Services” overview page that details the company’s core service offerings; a “Why CipherEx” area that includes a short introductory video; and a “Meet the Team” section, which provides a quick look at the company’s executive team. 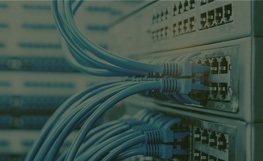 The responsive, easy-to-navigate design allows users to quickly view CipherEx’s range of network infrastructure and network security services and drill deeper to learn more about specific capabilities and expertise. With just a few clicks, users can quickly review the latest blog posts, browse customer testimonials, or request a free network assessment.